Martin Tharnish was born on November 3, 18571, the tenth child of Johann Jacob Thanisch and Catharine Meyer. He grew up on the family farm located on the Allegany Road in Bennington, New York, where he received his schooling and practical education. We know little about Martin's early life. On July 3, 187924, Martin married Alice E. Perry, the widow of Frederick Zehler, at Sacred Heart of Jesus, in Bennington. 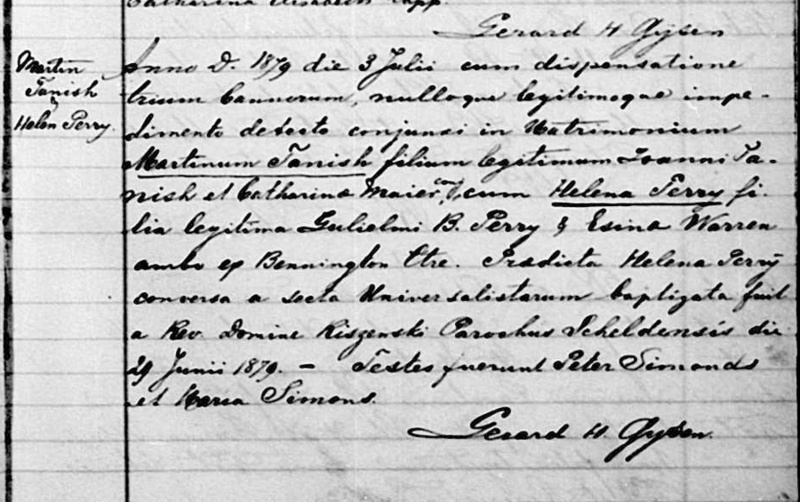 Alice had been baptized into the Roman Catholic Church on June 29, 18791, at St. Cecilia's in Sheldon. Alice was born on November 21, 185223, the daughter of Williams B. Perry and Asenath Warren. Shortly after their marriage, Martin and Alice moved to Audubon County,Iowa14, along with her son, Floyd Zahler. Martin was following the example of his older brothers, Peter, John and Joseph, who relocated to Iowa about 1870. After one winter in Iowa, Alice became very homesick and the family returned to New York. After returning, Martin and Alice initially settled in Arcade, New York, where Martin purchased a 75 acre farm, $3,375, with a mortgage to the previous owner13. Martin operated the farm in Arcade, until 1904, when he purchased a 100 acre farm in Sardina, Erie County, New York, on the Matteson Corners Road25. Martin continued to farm in Sardinia until his death on May 31, 191416. Alice continued to live on the family farm, which was operated by her son, Clare. Alice died on September 17, 1942, nearly 90 years of age26. i. M. Edna Tharnish Edna was born on August 19, 188023, and she died on January 21, 189223.
iii. Clare Arthur Tharnish Clare was born on October 13, 189122, and he died on January 3, 196122. 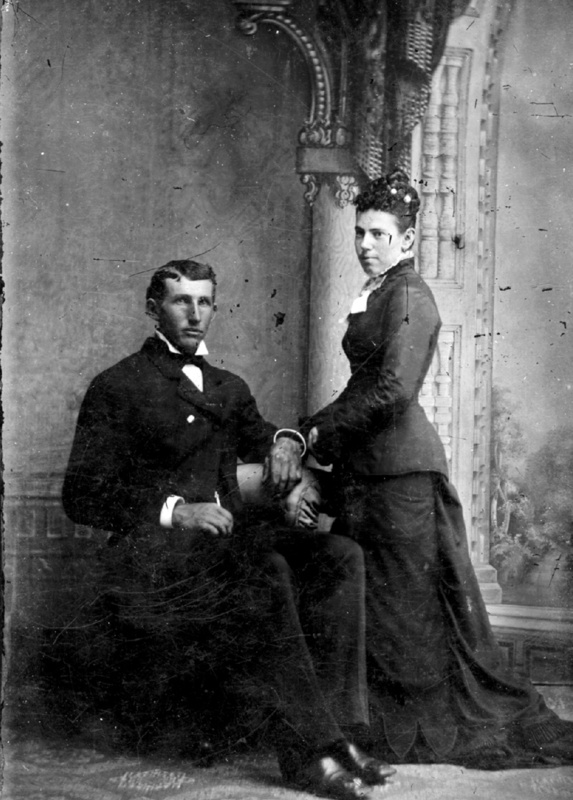 Clare married (1) Jessie May Follman and (2) Midred C. Henry.